We’ve all been that customer who impatiently waits on hold for assistance, listening to the “Please hold, your call is valuable to us” message over and over again as the theoretically calming symphony music plays in the background. Depending on how long you have been listening to the on-hold greeting, you may even be ready to throw your phone against the nearest wall. Since you’ve had this feeling of enragement and customer dissatisfaction, it makes no sense for you to do the same thing to your customers. When used correctly, the on-hold greeting feature is a valuable tool for keeping loyal returning customers and making strong first impressions for new customers. Cloud-based phone systems provide you with the option for making your on-hold greeting unique to your company, so make sure you spend the time to make it that way. Break away from the default settings, so the greeting will be something to be remembered by and will contribute to the customer’s positive calling experience. Play actual music people want to listen to. Unless you are a Mozart lover or classical enthusiast, most people don’t want to hear the typical classical music. Think of your audience. If you are selling teen apparel, play songs from the top pop hits for your customers to hear. If you are a movie review company, geek-out with the Star Wars theme song in anticipation of the newest movie approaching. Think about geography. Maybe your callers would appreciate country. After tracking the call location, you could find your customers want to hear Bollywood or blues. Music evokes emotion, memories, and feelings. Align the music with your mission statement so that playing reggae vs. Christian, vs. indie will make sense. Take a look at your music now, because most likely, you can do better than classical music. Another typical call. 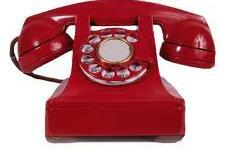 You just need help with transferring your phone number from one service provider to another. Meanwhile, they are blasting you about the latest and greatest data plan and YOU DON’T CARE! You just want your phone fixed—that’s all. On-hold greetings serve as a prime opportunity to market your product and promotions, but be smart about it. Your customers are calling for help and the majority of them don’t want an overaggressive 10 second pitch looped as they wait for an hour. Hopefully, you don’t have your customers waiting that long anyway…but be sure that you have a reasonable sell that the customer could even benefit by relating to their problem. A different approach would be telling a joke. This could be a risky business move, but if done right, it is also a very unique strategy. There are many “don’t rules” which hopefully by common sense, you know as well. Don’t make them purposely corny, don’t make them crude or insensitive, and don’t repeat just one. Do have music breaks in between, do slip in business relevant jokes, and do use story jokes for potential calls that will require the customer to be on hold for quite some time. Again, this is a sensitive and risky option, but done with the right company, with the right taste in jokes, it could be a true winner. People like the games Trivia Pursuit and Trivia Crack because they enjoy hearing random fun facts. Facts are endless, so running out of options and being forced to loop won’t be a problem. Keep the pace consistent, use a likeable voice that’s going to be talking for quite some time, and pick topics interesting to your customer. What’s an interesting topic? Probably whatever the person is calling about, so keep it relevant. If you are a technology company, talk about fun hacks you can do with your TV or phone that people don’t know about. Maybe even relate the fact to what your company offers as a subtle pitch. If you offer nutritional drinks and juices, maybe your facts include a list of different vitamins and supplements customers need for boosting bone density, hair color, muscle damage repair, etc. that happens to be contained in your drink in large quantities. Make sure your customer who called six months ago is not listening to the same on-hold greeting. Especially taking advice from the other following points, you should be changing your greeting often. Depending on your time, weekly or monthly would be ideal. There are ways to reuse your greeting content, but be smart about it. Save the content, mix up the order, and use it a few months down the road. You don’t need to create new material all the time, but it’s good to switch it up once in a while. Regardless of how awesome the music is, how funny the joke turns out, etc., your customer would prefer not to hear the same thing month after month if they are frequent callers. In this day and age, it’s good to be different in every possible way. Your business will stand out and can generate more business with simple small changes like adding value to your on-call greeting. Having a VoIP dashboard with easy access anywhere can allow you to do this. Experiment with your options and see if you receive higher reviews with customer satisfaction.